Over $85,000 Raised During Radiothon! Brrrrrrrr! South Dakota are you ready for a blizzard, no not that kind of blizzard, a Dairy Queen Blizzard® treat. Miracle Treat Day is forecast to hit South Dakota on August 2nd raising funds and awareness for Children’s Miracle Network at Regional Health. On Thursday August 2nd, $1 or more from every Blizzard® treat sold at participating Dairy Queen Locations (see below) will be donated to CMN at Regional Health, with 100% of funds raised staying local to help ill and injured children at our 5 area hospitals. These funds help children like Cami, who was born 13 weeks premature weighing only 1 pound, 15 ounces. For the first two months of her life Cami needed the expert care and advanced equipment at the Neonatal Intensive Care Unit at Regional Health Rapid City Hospital. After battling the odds and coming out on top Cami is now a happy and healthy three year old with no lasting consequences due to her extreme premature birth. 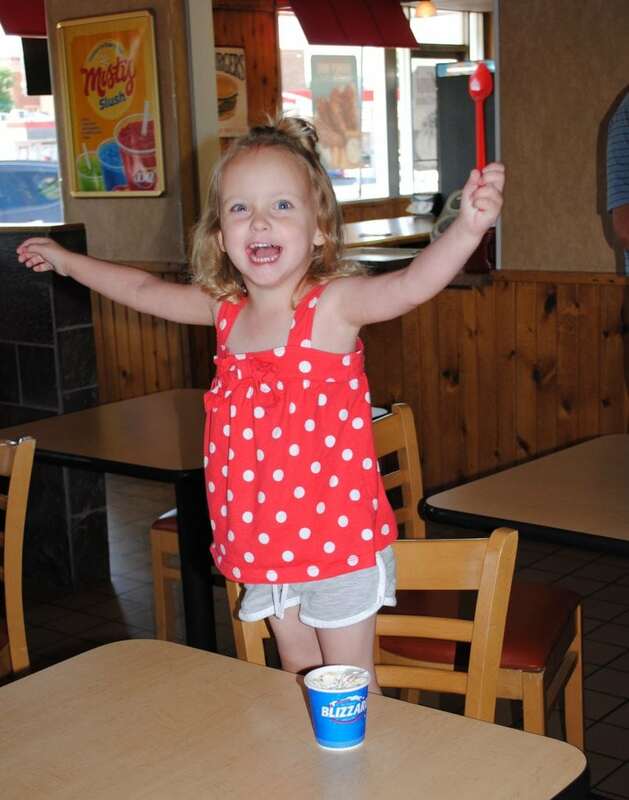 Cami’s favorite treat is anything with sprinkles but you can share your favorite Blizzard® flavor with us on social media by using the hashtag #MiracleTreatDay. We look forward to seeing you Thursday to share some ice cream and help children in need.